At United Mechanical we believe that when our customers prosper, we do too. A customer is a trusted partner and friend, someone who depends on us to provide them with the timely, quality services they need to keep their facilities running. Whether your needs are repair, maintenance, replacement, upgrade, or retrofit, we work with you to find the best solution for your particular requirements. Because we understand nobody knows your business better than you, we welcome your participation and value your ideas, knowledge, and input to assist us in serving you. Our service technicians are factory trained to service and repair Carrier, York, Trane, and McQuay centrifugal and screw chillers. 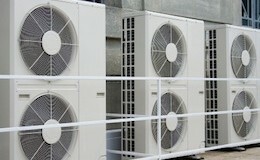 In addition, we carry factory certifications for Liebert computer room air conditioning, Mitsubishi City-Multi systems, and Carrier Comfort Network controls. At United Mechanical everyone realizes you need the best value for your investment. That’s why we treat every solution and recommendation we make as if we were writing the check ourselves. We can provide multiple solutions to a problem and help you decide which is best for you. In today’s globally connected world, most of us come into contact with poor customer service. From long waits on the phone, to online only contact, what passes for customer service today would have been unacceptable only a few short years ago. You won’t experience any of those problems when you do business with us. So choose United Mechanical for the services you need at a price you can afford. We’ll be waiting for your call. We offer a variety of services and the types of jobs we have accomplished are varied. Take a look at our latest projects. 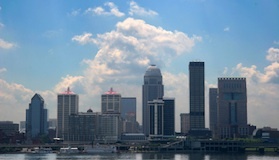 We are based in Louisville, KY and service Jefferson County and the surrounding areas. 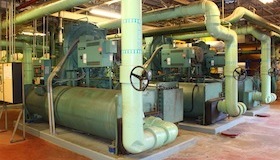 From centrifugal chillers to rooftop units and split systems, our service and training allows us to service any mechanical system in your facility.